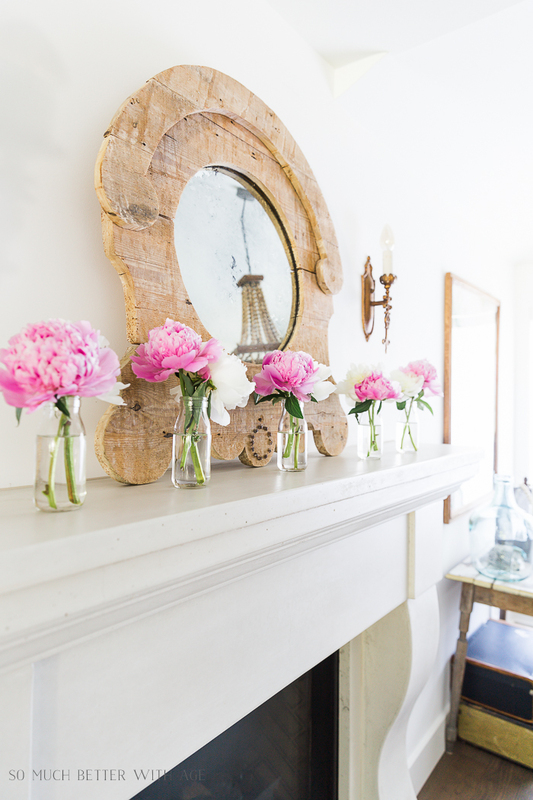 This simple summer mantel with peonies is the easiest thing you’ll do for summer decorating. 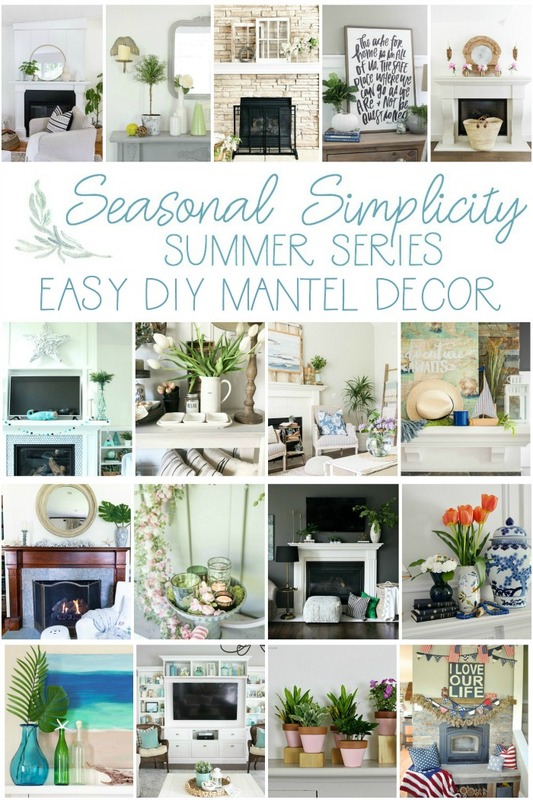 Today I’m teaming up with some amazing bloggers to share with you our Easy DIY Mantel Decor (or Summer Vignettes) in the Seasonal Simplicity Summer Series hosted by my friend Krista of The Happy Housie. Be sure to check out all the inspiration at the end of this post! 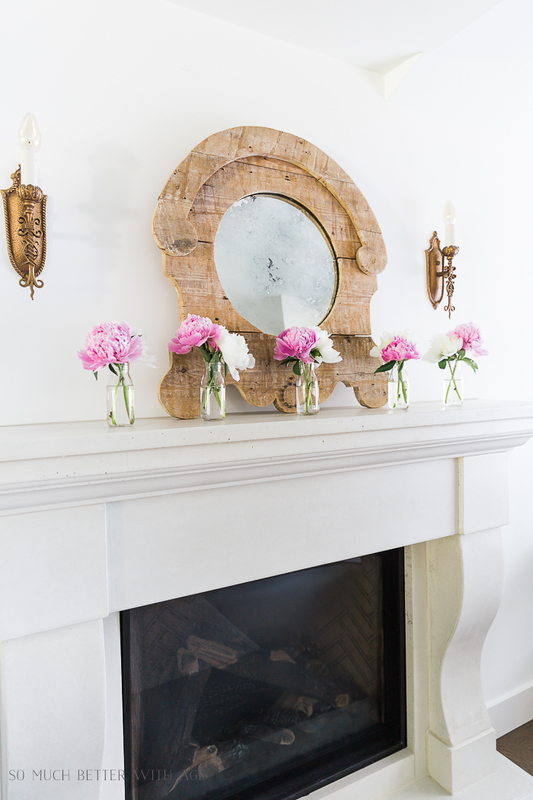 I had some different plans for decorating my mantel for this series but I ended up doing this super easy decorating just using peonies. Sometimes I tend to overdo it. For something to really catch your eye, I feel like it has to be a LOT but I’ve been leaning towards a lot of simplicity lately. My house is overcrowded with all the projects I’ve done for my book. 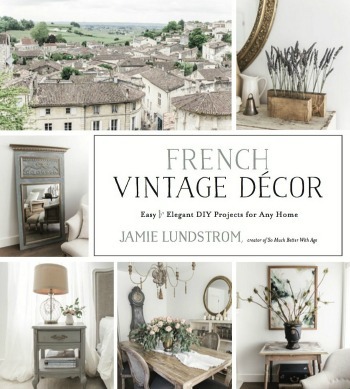 I love my projects but I don’t need 70 extra things in my house. So there is a lot of extra stuff in my house and the more I look at it, the more I want to become a minimalist. 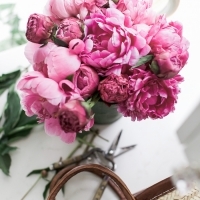 I’ve loved peonies for as long as I can remember. I know they are a favorite flower for many people now but I loved them for as long as I can remember as my grandma used to grow them in her garden. I added one pink and one white peony to one milk jar with water for a total of 5 and that’s it! You can find a link to the milk jars here. I bought mine at Michael’s. Flowers are also the easiest things to photograph. If you want to play around with taking photos, start with some flowers! I’m congratulating myself on keeping it simple. 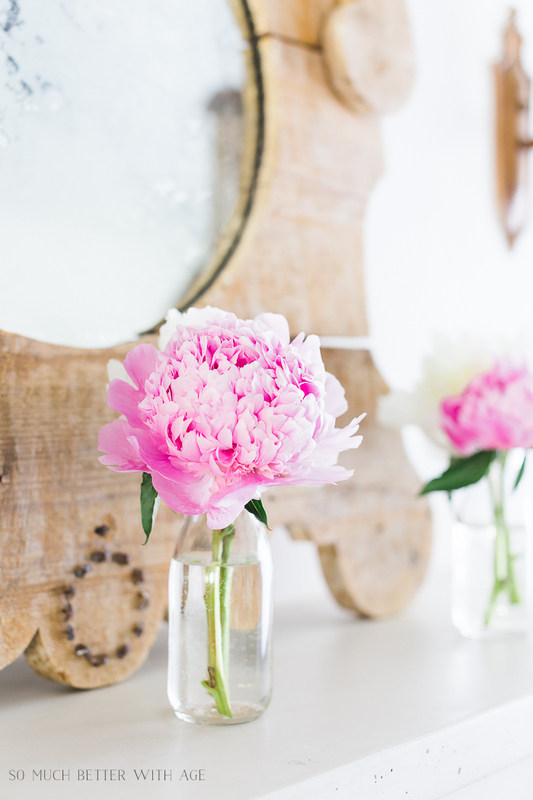 There’s nothing wrong with going all out but keeping things simple like peonies in milk jars is a refreshingly easy to decorate for summer. 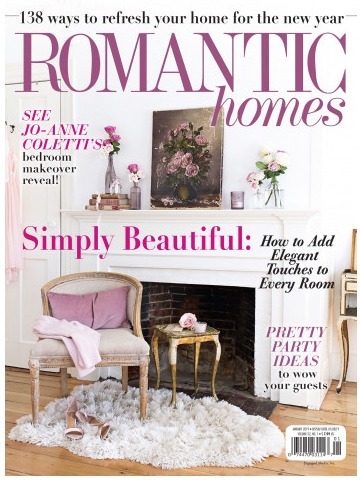 Now be sure to visit my friends with their mantel decor or simple vignettes. 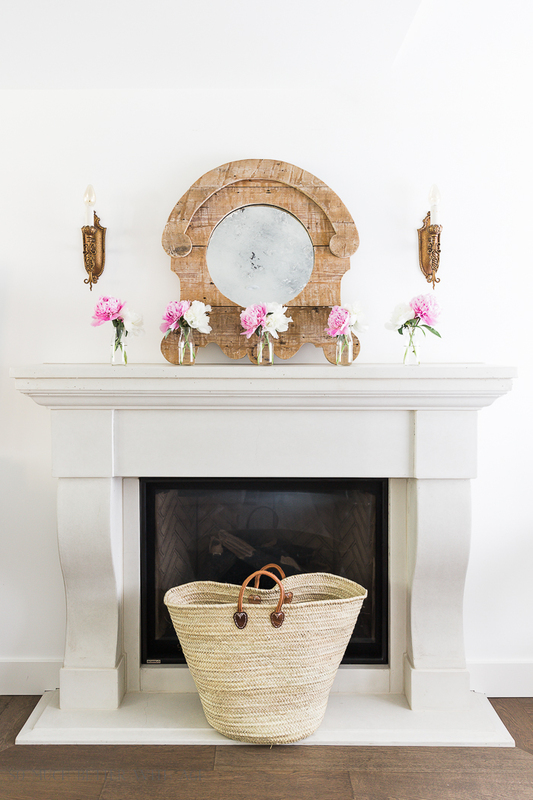 Nothing like fresh flowers to scream summer! 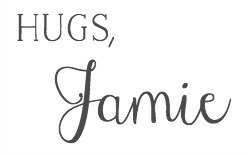 Gorgeous, Jamie. 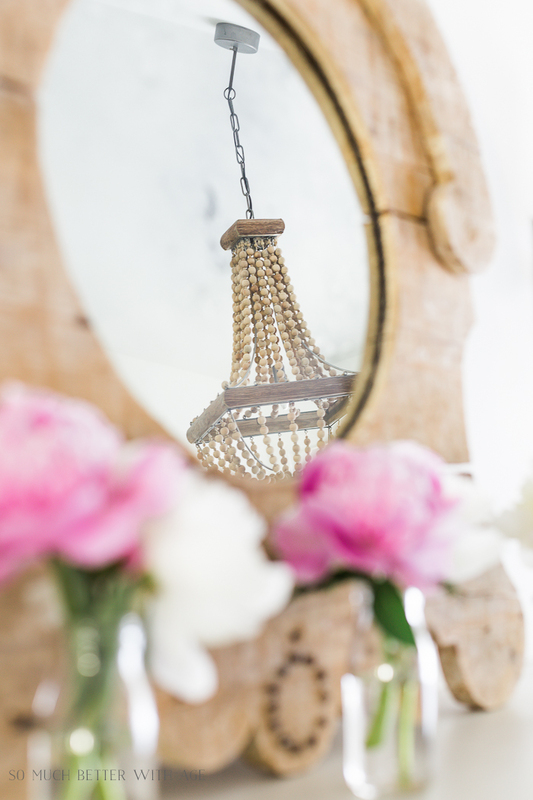 The pops of pink against your stunning wooden mirror are so beautiful! So glad you could be part of this series, friend! Thanks Krista! I love your summer series! So pretty! 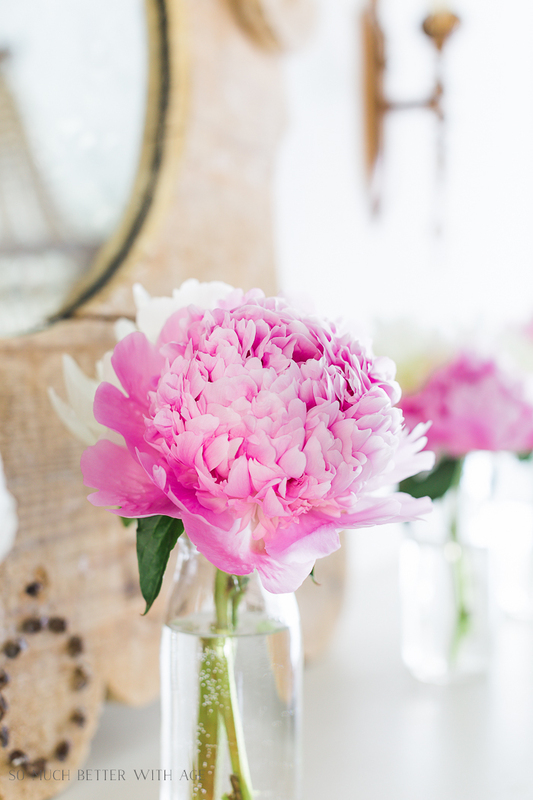 I love the peonies! 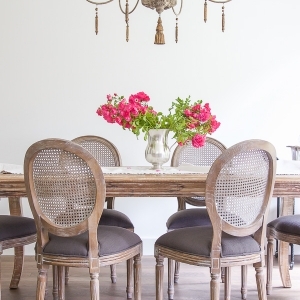 As i get older i like things simpler and this is so pretty. I agree, Marlene! I like things simpler too. 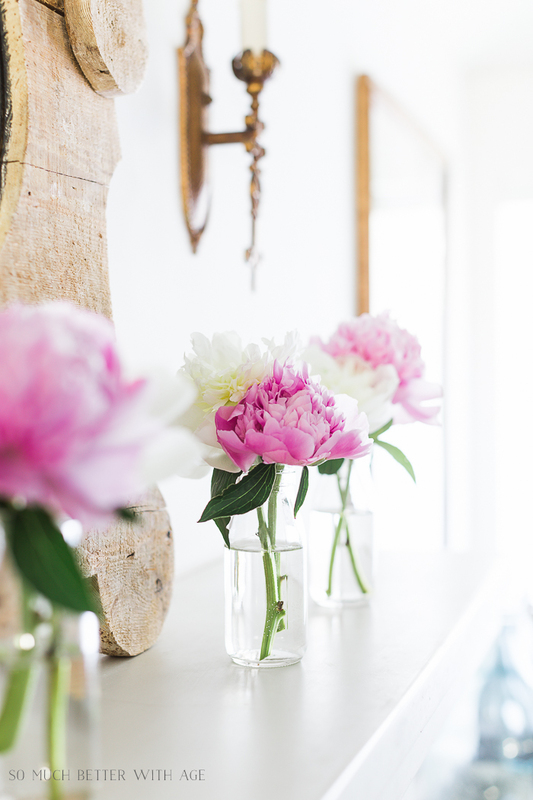 Love these peonies, Jamie! So simple and beautiful! Hope you’re having a wonderful week! Aww, thanks Norma! You’re too sweet! 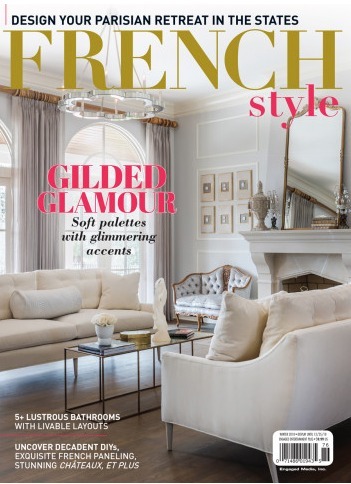 There’s a reason we have the same name – we think alike! 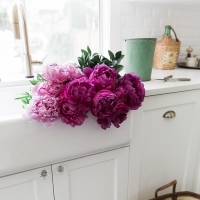 Love your peonies, so fluffy and ruffly and I can only imagine the smell!! Absolutely, Jaime! I totally agree 😉 Thanks so much.